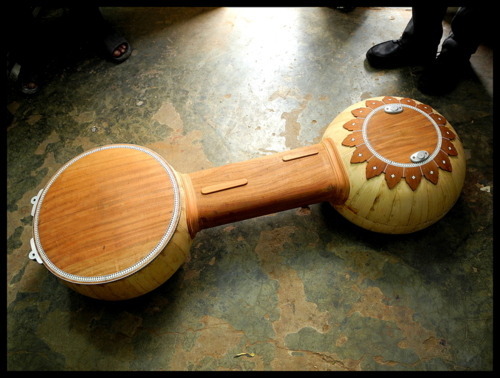 9 wonderful inventions by Pakistanis that you’ve probably never heard of! LAHORE (Web Desk) – Pakistanis are pure genius… We just don’t say it, we can prove it. Here is the list of some of the amazing inventions made by Pakistanis, followed/ practiced/ used by people around the globe. Recently a Pakistani fertilizer company invented a new formula to make fertilizers that cannot be converted into bomb-making materials. Previously, fertilizers with ammonium nitrate, were easily converted into bomb-making ingredients. Dr. Naweed Syed is the first scientist who managed to “connect brain cells to a silicon chip”. This Pakistani helped the world achieve a great milestone. This discovery will significantly help in the research of integrating computers with the human brains in order to assist people monitor vital signs control artificial limbs, correct memory loss or vision impairment. The Sagar Veena, used in classical music, was developed completely in Pakistan over the last 40 years by Raza Kazim at the Sanjannagar Institute, Lahore. Pakistani economist Mahbub ul Haq devised the Human Development Index in 1990 in order to move the focus of development economics to people centered policies from national income accounting. Pakistani researcher at Loughborough University, Sohail Khan designed a lavatory that converts human waste into biological charcoal, which can be burned, and clean water. This virus was created by the Farooq Alvi Brothers in 1986 in Lahore, Pakistan to discourage piracy of the software they had made. Developed by Ayub K. Ommaya, the Ommaya reservoir is a system used for injecting the medicines into the cerebrospinal fluid for treatment of patients with brain tumors. A Pakistani American doctor from Peshawar, Pakistan invented the Pleuroperitoneal Shunt and a Special Endotracheal Tube tube to supply oxygen during fiber-optic bronchoscopy in awake patients. A Pakistani computer scientist, Zeeshan-ul-Hassan Usmani, has introduced a Software simulation based on blast forensics designed by that claims to reduce deaths (on average) by 12% and injuries by 7% merely by altering the way a group of people stand near an expected suicide bomber.